Fuel Cartridge, Isle of Sheppey, United Kingdom. This project is set out in 2050 when sea levels rise from global warming. 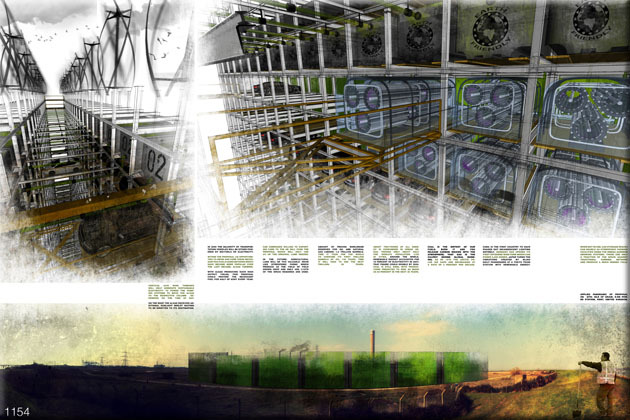 On the Isle of Sheppey, one of the largest storage facilities of imported cars will be flooded. 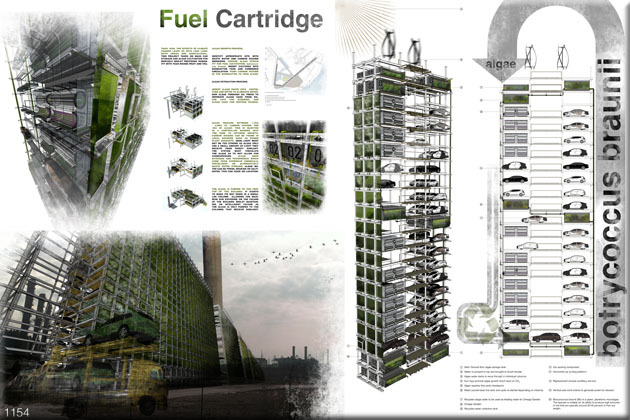 Fuel Cartridge is a car storage skyscraper and vertical algae farm producing biofuels for cars and protein for people. For more information about this entry, contact the author. email: cmouchtaris@hotmail.com.